CBSE Class 12th Chapter, Aldehydes and Ketones comes under the topic Aldehydes, Ketones and Carboxylic Acid which carries 6 Marks in board exam. Experts of Jagranjosh.com offer the best practice material that covers all important questions so that students will not miss any portion while preparing for board exams or competitive exams. Consider the mentioned terms/questions at the time of studying. 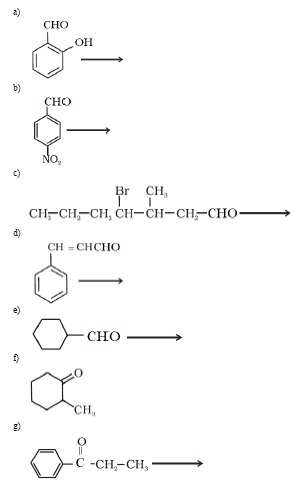 • The structure of carbonyl group. 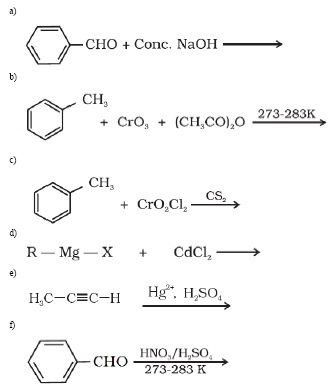 • Explain the gatterman-koch reaction for preparation of aldehydes? • Why are the boiling point of aldehydes and ketones higher than other hydrocarbons except alcohols? • Explain the mechanism of nucleophilic addition reaction with the help of a diagram. • How is sodium hydrogen sulphite used in purification of aldehydes? • What do you mean by acetals and hemiacetals? • Write a note on tollen’s test and fehling’s test.